Stephen Curry Warriors are already at the height of the Michael Jordan Bulls record back in the day. They hit it big in San Antonio, with an extraordinary victory (86-92) against one of the toughest teams in the competition, the Spurs. The Texan squadron had won all their home games this season, 39, and in the AT&T Center in San Antonio they added 48 unbeaten games in regular season. The Warriors, who only 24 hours before had barely won in Memphis to total 72 victories this season and matched the record set by the Bulls in the 1995-1996 season. They will have a chance to beat them on Wednesday in the final game, which will be measured back in Memphis, but under their public at the Oracle Arena in Oakland, with the Warriors fans with them it should not be hard to win the game but that game represents a clear and immense struggle for the record to be broken. The feat of the Warriors is defined by their splendid game, the sum of their individual talents and its arsenal of tactical resources. Its effectiveness has brought them such a number of victories that have allowed them to match and possibly surpass a record set by a legendary team we all remember, which was thought impossible to achieve. Many authoritative voices considered this feat almost impossible to reach the record of those Bulls of Michael Jordan, Pippen, Kukoc, Rodman, Harper, Longley and Kerr, the coach who now runs precisely the team that will most likely surpass that mark, the Warriors. The precedents of duels between the Warriors and the San Antonio Spurs were conclusive in the regular season: 33 wins for the home team. The ultimate triumph of Golden State in the Texas court dated back -always talking about the regular season- to February 14, 1997. San Antonio Spurs: Parker (4), Green (2), Leonard (20), Aldridge (24), West (4) -Team initially; Ginobili (8), Mills (7), Anderson (4), Kevin Martin (9) and Marjanovic (4). 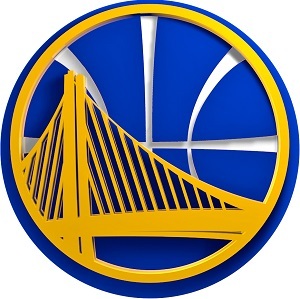 Golden State Warriors: Curry (37), Klay Thompson (14), Barnes (9), Draymond Green (11), Bogut (4) -Team initially; Iguodala (3), ezeli (1), Livingston (4), Rush (3), Speights (6) and Clark (0). Quarters: 19-14, 16-21, 26-27 and 25-30. AT&T Center in San Antonio. 18.658 spectators. Nothing stopped the Warriors. The Spurs, despite significant casualties Duncan and Diaw, began the game in their style, with a stifling defensive work to his rival, who came to give up a nine-point deficit. But the team of Steve Kerr answered them with the same coin. The first half ended with a very poor marker, a 35 draw and a paltry 28% success in field shots Spurs. Curry soon added two personals and a technical from Draymond Green. The Warriors rolled up their sleeves in defense and bided their time. They sped up when Stephen Curry did, who entered ignition in the third quarter, with 15 points, and even a triple from court but it was not good. He went to 37 points with 4 triples and several trick shots. The whole team followed his wake. Klay Thompson added 14 points and 6 assists and Draymond Green, 11 points, 4 rebounds and 4 assists. Popovich used a “short” team at first, then turned to the giant Marjanovic, which at times formed a pair of towers with Aldridge. But the Spurs defense could not contain Curry in the second half and the 24 points and 10 rebounds from Aldridge, plus 20 points and 13 rebounds from Kawhi Leonard. Parker, Green, Ginobili or West could not make their rhythm in the game and could not handle the defensive activity of the Warriors, who came to accumulate 11 points of income and solvency administered in the final minutes. Indiana’s victory at Brooklyn, 120-105, made the Pacers classification to the playoffs and the consequent elimination of the Bulls, who still hoped to win their last two games and this was combined with three defeats his rival for the eighth spot. The Bulls are left out of the playoffs for the first time since 2008, the only time they were not in the decisive phase in the last 11 years. The failure is enormous in a team that aspired to everything and that during the first months of the competition, rubbed shoulders with the Cavaliers and Raptors. Injuries plagued the Bulls. They lost Noah very soon for the entire season, Dunleavy could not play for several months and could only play in 30 games, Derrick Rose never had continuity and accumulated 13 absences, Butler 15 missed games at very important moments of the season, as Mirotic, operated twice because of a complicated appendicitis. The casualty list was endless. But besides that, Chicago was shown as an increasingly irregular team. He lost the defensive strength of previous seasons in which was directed by Tom Thibodeau.